where they are celebrating their Birthday Week. They asked to post about your favorite birthday gifts and a million different things ran through my mind and I picked my top 6. 2. Cupcakes! Who does not love cupcakes and especially on your Birthday! Getting them delivered to the office would make your special gal pal feel extra special too. 3. 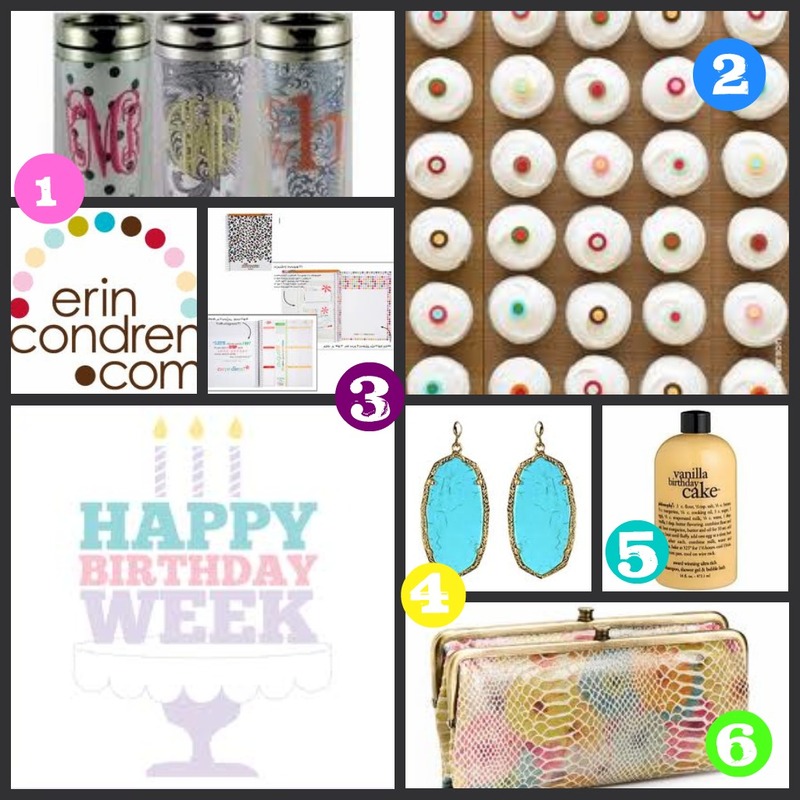 Lets be honest here, how about Erin Condren ANYTHING. But, I purchased her life planner a couple of months ago and am soooo organized its crazy. I love it! I am sure your girlfriend would like to be as organized and on top of things as you so why not help a sista out?! 4. Kendra Scott earrings. What birthday girl wouldn't want these beauties? I know I would...hint hint. 5. Philosophy Birthday Cake body wash. With all that eating of birthday cake the Birthday girl can have a calorie free treat to herself. Yum!! This is perfect for a coworker and just someone you want to get something for but aren't sure what. 6. Oh and my favorite, the Hobo Lauren Clutch. This pretty lady will not only keep the birthday girl organized but also stylish on a night out on the town. One of my favs to give as gifts. Well thank you girls for doing such a fun link up. 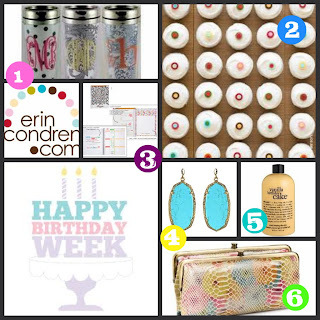 I had a blast putting together my gift guide. Great pics and Happy Birthday to those special ladies!! I love the Philosophy birthday was and those teal earrings and fabulous.